Hell Shooter touts itself as an old school FPS game… and that’s pretty much all it really calls itself. There really isn’t much to explain here. Just a simple google search gives you… nothing! The game’s name is so generic that literally nothing comes up! There isn’t even a trailer (other than the video on the Steam page) that I was able to use, so I was forced to make a short video for this review. Did you watch the video? Well in that whole 2 min, you saw the entire game! I wish I was joking when I said that! 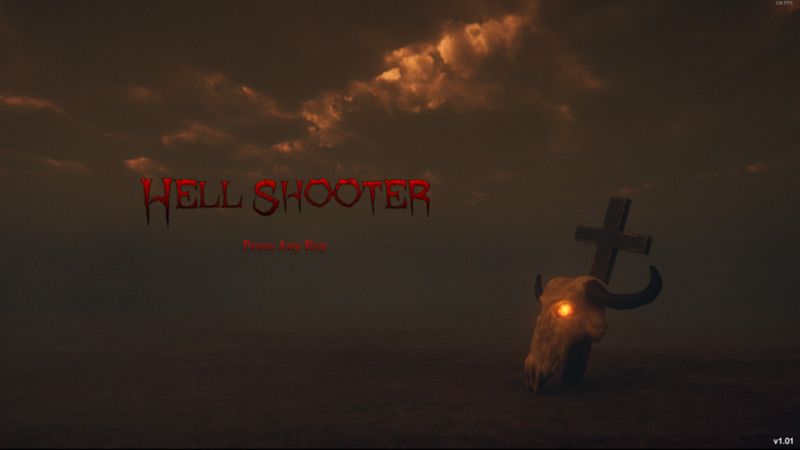 Hell Shooter sticks you in a small graveyard, armed with a demonic weapon. The weapon fires like a machine gun if you hold the shoot button, fires like a shotgun if you just click, and as a grenade launcher with the alt fire. 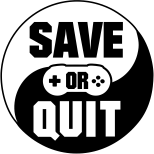 Your goal is to collect as much souls as possible, to score as much points to get the highest position on the leaderboard. Sounds simple enough right? Well you don’t want the skeletons to touch you, as it’s a one hit kill. Look I tried to make witty headers, but this game’s got nothing! The game plays in one map. A small graveyard. This is the biggest flaw of the game. The game wants to be an “arena shooter” which is far from what this game is. For starters, this map is too tiny and lacks any paths other than the loop around the church building, lacks any sort of platforms, and lacks any room to really run around without getting caught on something. The best game I can compare this to is Devil Daggers. Now that is a game that does an intense arena shooter well! The map in Devil Daggers is much more open, so it lets you move around to dodge enemies much better. Hell Shooter doesn’t provide that. The map is fairly crapped, and the monster spawns are all over the place. Combine that with the enemies giving no sounds (other than death screams) and you will have no idea if one is behind you or not. This is where the final issue of the game comes up. There is only one type of enemy! Just a simple skeleton that spawns randomly around the map and runs towards you. They easily die from just one hit, but they will swarm you very fast if you aren’t paying attention. Combine that with them making no sounds at all tends to lead to some cheap deaths. There are some positives. I will say the game does look amazing and runs super smooth! Graphically everything looks well done and everything has the appearance that it fits in the world well, though the wasteland beyond the fence really doesn’t offer much for scenery. I didn’t experience any major performance issues for what little I played. I would have given this game a much lower score, but as the game runs well, I can’t really be mad at it. The only real issue going against it is the real lack of content. Yes, it is $1, but since you see everything in less than 2 min it is a real shame. The other reason I didn’t lower the score is the Dev is still working on this and updating it, so who knows what else he does with this project! Hey, at least it isn’t a complete achievement spam game!